I’ve heard it countless times. I’ve even heard it from my own students — during class! As soon as I use the word “energy” in the context of qigong, tai chi, or acupuncture, certain people get uncomfortable. And it never fails to makes me chuckle. Them: I don’t believe in energy! Me: What?!? You don’t believe in electricity? Them: No, I meant that I don’t believe there’s some invisible energy flowing through the body. Me: Oh. So you don’t believe in the impulses that flow along nerves? Them: No, of course I believe in nerves! I just don’t believe in the Chinese philosophy that says that everything is made of Qi. Me: So let me get this straight: You believe in a tiny device that can call to and from virtually anywhere in the world, take high-resolution photos and post them directly to the Internet, connect with the speakers in your car, and guide you to the airport — all without wires — but you don’t believe in energy? My point, of course, is that it’s very difficult to intelligently say something like, “I don’t believe in energy!” in the 21st century. Perhaps 300 years ago, before electricity and before Quantum Physics, you could have made a statement like that and defended it. But not today. Not when you have an iPhone in your pocket. When I chuckle at people who say that they don’t believe in energy, I’m also laughing at myself. Once upon a time, I didn’t believe in “energy” either. Twenty years ago, I was pretty strongly against the idea of Qi (or Ki as it was called in the Karate world). I had read about it in books, but for some reason, the concept was completely outside my window of possibility. I simply couldn’t allow myself to believe that an invisible energy was flowing inside (and outside) of the human body. Just the idea of it made me uncomfortable! So I did what most humans do when they are presented with an unfamiliar idea that makes them uncomfortable: I mocked it. This happens all the time. For example, I recently stumbled upon an Internet discussion about yours truly on a Tai Chi forum. Certain people were arguing that I’m not a real Tai Chi teacher because I talk about “new age hocus pocus” like Qi and opening vital points. In other words “real” Tai Chi teachers don’t believe in Qi. I can’t really blame the people who were criticizing me. After all, I was just like them once. So I can certainly empathize. Nevertheless, let’s be clear that this stuff is not new agey. It’s ancient agey! Everything that I say about Qi is based on the theories of Chinese medicine, which are thousands of years old. Feel free to dismiss it as nonsense, but understand that in doing so, you have to also dismiss the driving theory behind Chinese medicine (i.e. Qi). For those who are skeptical about energy, I recommend that you read the following book: The Field: The Quest for the Secret Force of the Universe. It’s written by an investigative journalist, and it’s a real mind-opener. In fact, I dare you to read that book from start to finish without having your mind blown wide open. Like I said, I always have a good laugh when I look back at my own skepticism. I especially think it’s funny how I drew dogmatic lines in the sand. “I won’t go past this line!” I told myself. Of course, that line was based more on emotion than on evidence. But I pretended that I was being all scientific. Eventually, I had no choice but to cross my own line. I remember wrestling with the concept of Qi while reading a book about Quantum Physics. Although I was much more comfortable viewing myself as a solid object made of solid matter, science kept insisting otherwise. It insisted that I was made up of empty space more than anything else. It also insisted that matter and energy weren’t mutually exclusive. E=MC2 and all that jazz. Whether I liked it or not, I had to admit that I was (and still am!) a vibrating mass of energy. I remained skeptical, but I turned into a healthy skeptic — i.e. someone whose mind is open to possibilities. Before that, I was not skeptical; I was dogmatic. I was not open to possibilities. I had made foregone conclusions based on emotions, rather than evidence. If you think that science is completely free from dogma, then I encourage you to read an excellent book, written by a scientist named Rupert Sheldrake. It’s called Set Science Free: 10 Paths to New Discovery. It’s all about the dogma that is plaguing the scientific community. It’s another mind-blowing book. I highly recommend it. So what is this Qi-energy stuff? Well, according to Chinese medicine, it’s a lot of things. For example, the energy that moves food through your digestive system (peristalsis) is Qi. So is the energy that creates insulin. So is the energy that creates new cells in your body. If the nerve that controls your liver is impinged, then the impulses along that nerve will not be as strong as they should be. In Chinese medicine, we would call this a blockage of Qi. But the term Qi also refers to an energy that can be projected outside of the body. Does that sound crazy? Ack! Humans can’t project energy from their body? You’re making me uncomfortable! Stop it or I will mock you! Actually, we project energy outside the visible boundaries of our body all the time. The electromagnetic energy from your heart, for example, radiates outward several feet. Several feet! Experiments conducted at the Institute of HeartMath have found evidence that the heart’s electromagnetic field can even transmit information between people. Not only that, but they found that one person’s brain waves can actually synchronize to another person’s heart. Sounds like a form of energy transmission to me! Does Western science completely understand Qi yet? No. Not yet. But it will. There are already some decent studies that beg for further investigation. Give it time. In another 50 or 100 years, I predict that Western science will have a much clearer picture of the concept of Qi. Of course, even then, some people will choose not to believe. But don’t forget that some people still choose to believe that the earth is flat. That’s their prerogative, but please don’t call them scientific. What about you? Do you believe in Qi, or energy? Or do you think it’s all a bunch of hocus pocus? It’s pretty difficult getting people to believe even “purely physical” things in martial arts (such as my old Baguazhang sifu who can send people flying away with a subtle flick of his forearms, and he says he doesn’t bother at all with internal force, “just physical structure”). When people have difficulty even believing grossly visible things, I’d imagine it’d be pretty tricky for them to believe in any subtle stuff without direct experience! At an even simpler level, every time we make a sound we are projecting energy. Simply by cellular metabolism, our bodies are projecting heat energy. I think people view energy as a “woo woo” term because to most people, it’s pretty meaningless without any kind of qualifier. We are composed of atomic energy. Pretty cool stuff, and I’m sure everyone that took a high school chemistry or physics class has a cursory awareness of that. Cristal clear. A big thank you for sharing your experience in such a simple manner. I will recommend this article to discover Qi in an inspiring way. You’re very welcome, Xavier! And thanks for sharing the article! Andy, what are you talking about? Thanks Caroline. You’re right. Static electricity is another good example. I hadn’t thought of that. how is energy a new age thing? sure maybe they took that idea and ran with it. But I practice Taiji and other forms of martial arts and I’m a Christian… everything is energy, they are using their energy to tell people energy doesn’t exist lol. what I don’t get is how a “real” Taiji teacher shouldn’t believe in qi. My Taiji teacher says that you are not doing real Taiji if you are not using your qi. Well, I tend to agree with your taiji teacher, David! You know exactly what questions these people are asking, and yet you try to reword their questions to avoid answering them. You are obviously using hyperbole to get your point across, and you are wording their “question” in such a way that makes them sound stupid, arrogant, and impatient. By writing your article this way, you are literally mocking any person who would question you, preemptively. Irony. When you do this, you come across as arrogant, ignorant, and mean-spirited. Your articles are obviously targeted at people who already agree with you, and provide nothing of substance for anyone with real questions. I am sad to have wasted time reading this article, looking at the sources you recommended, and writing this likely pointless response. I’m sorry that my humor didn’t come across. Nevertheless, it seems that you have misread me (pun intended). Much of what you read as “arrogant, ignorant, and mean-spirited” was really just humor. Perhaps there is a language or cultural barrier? Thousands of people read and share my articles daily, and many of them disagree with me. I have taught literally thousands of skeptics over the years. So your assumptions about who my articles are for is incorrect. A bit of advice though. Don’t go into that group slinging insults and making assumptions the way that you did in your comment here. That kind of behavior is frowned upon. Anyway, you posted this with an anonymous name and what looks like an anonymous email address, so maybe I’m just feeding the trolls. Hopefully not though. Always happy to communicate sincerely with sincere students. Well… you say “energy.” Specifically what energy are you speaking of and in which ways does that energy interact with our cells. 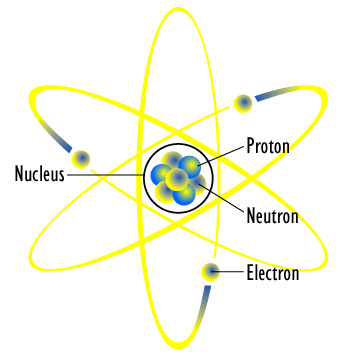 You can’t sell a person on energy without first stating the exact ways in which that energy is created and transfered via chemistry and physics. Explain to me the chemistry and physics (PRESICELY!!) and I’ll believe in your “chi.” Until then, find ways which can be proven at all levels, macro and micro, which are congruent with modern laws such as the conservation of mass. I work hard to use modern vocabulary and to shine a modern, scientific light on qigong and tai chi. But the truth is that no one can answer your question, not yet at least. But you don’t need to know the exact mechanism in order to know that something works. The mechanism for anti-depressants was not understood until recently. The mechanism for aspirin took 80 years to understand. No one understands why pickle juice stops cramps, but athletes swear by it! If you wait for the mechanism to be explained, then you might wait another decade or two. But most of my students prefer to simply practice qigong and get results NOW. No belief required, but you do have to practice!